Today I asked a deaf man to listen to this great song and then I laughed when he couldn’t hear it, I also asked all my friends on my facebook to laugh too. Then I put something too high up and asked a crippled man to reach it down, it was so damn funny when he couldn’t (please note I didn’t really). Sounds horrendous doesn’t it? 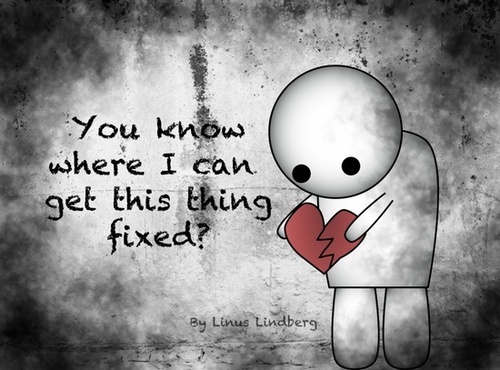 Yet this is how I feel when I see such stupid things as the picture I have posted at the side. I hope it creates a good laugh, and then I hope those who laugh realise how cruel that is. This illness is an illness, it is serious and debilitating and certainly not a joke. It makes me sad when I see such ignorance. Perhaps you want to tell me to lighten up, it’s just a joke. Have a laugh. Take it easy? 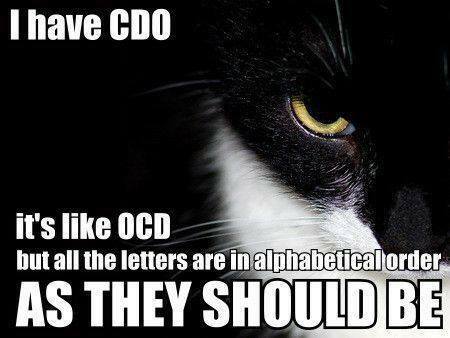 I saw on an Asperger’s awareness site a post saying put OCD on your profile for a laugh. I was disgusted, not just at that, but for something that raises awareness for an illness, can belittle another one in such a way. Today I reach day eight of not eating. This is due to my OCD, maybe it’s funny. Maybe I should be laughing. For me it’s a nightmare. For me I am living with a crazy person inside my head who is so afraid to eat. I bought a coffee this morning, pretty simple thing, but for me, I try not to watch the person serving, because I know if I do, I find a reason not to drink it and to pour, probably a perfectly good coffee away. I nearly did that today when I saw the young girl pig up my cup from the top. What if her hands were dirty? That’s what my mind started at, and then onwards it went to the many disastrous things that could happen if I drank that coffee. Sometimes I am rebellious, it is like my OCD is a separate person to me, I havre to do things to annoy it. Like put my cup to my mouth and take a sip and then laugh at my OCD as it clutched its evil little head, because now it was too late, any form of harm or germ in that cup was in my mouth, so I might as well drink it all. I saw this also today in a group, Obsessive Compulsive Cosmetics. What an awful name. Perhaps they will instruct as that poster said, Nike, to make running shoes for the paraplegic.